Christina Ten Broeck was born in Albany, New York, on December 30, 1718, the daughter of Albany civic leader Dirck Ten Broeck and his wife Margarita Cuyler, and the great-granddaughter of Albany mayor Dirck Wesselse Ten Broeck. She was the third of twelve children, and grew up in Albany with her sisters and brother in a comfortable home on Market Street. Philip Livingston was born January 15, 1716, at his father’s townhouse in Albany, and spent most of his childhood there or at the family manor at Linlithgo on the Hudson River, about 30 miles to the south. He was born into the well-to-do and prominent family. His father, also named Philip Livingston, was of Scotch descent and the Second Lord of Livingston Manor, and controlled a large landholding grant near Albany. His mother, Catharine Van Brugh, was of Dutch lineage. His maternal grandfather was Albany mayor Pieter Van Brugh. While he was growing up, Philip divided his time between his father’s townhouse and the Manor House built in 1699. Ann Savage was born in Ireland in 1718. Ann’s grandfather came to Pennsylvania from Wiltshire, England in 1684, and became Surveyor General of Chester County, which then accounted for about one-third of the colony. Later, her father served as Chester’s Deputy Surveyor General. Ann’s family belonged to the Society of Friends or Quakers, but she was disowned as a Quaker in 1733 for marrying Samuel Savage, a non-Quaker. George Taylor was born in Ireland, and came to America in 1716, when he was about twenty years of age, landing in Philadelphia in 1736. He was the son of a respectable clergyman, who gave to his son a better education than other young men received at that time. At his father’s suggestion, George began to study medicine, but the subject didn’t suit him, and he soon set sail for America. Frances Montresor, also known as Fanny, was born April 4, 1760, and grew up in New York City. She was very interested in botany and was an accomplished musician. She was likely the biological daughter of Captain John Montresor. 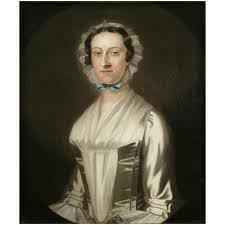 Her stepfather was Crean Brush, a colonel in the British army, who had served under General John Bradstreet at Albany, where he met and married Margaret Montresor, Frances’ mother. Crean Brush was born about 1725 in Dublin, Ireland, and came to America between 1758 and 1762 and settled in New York City. He was a lawyer and for some time he held the office of Secretary of the Province of New York. He held various offices under the government of New York. He was a representative to the General Assembly of New York from 1773 to 1775, and had large influence in the house. 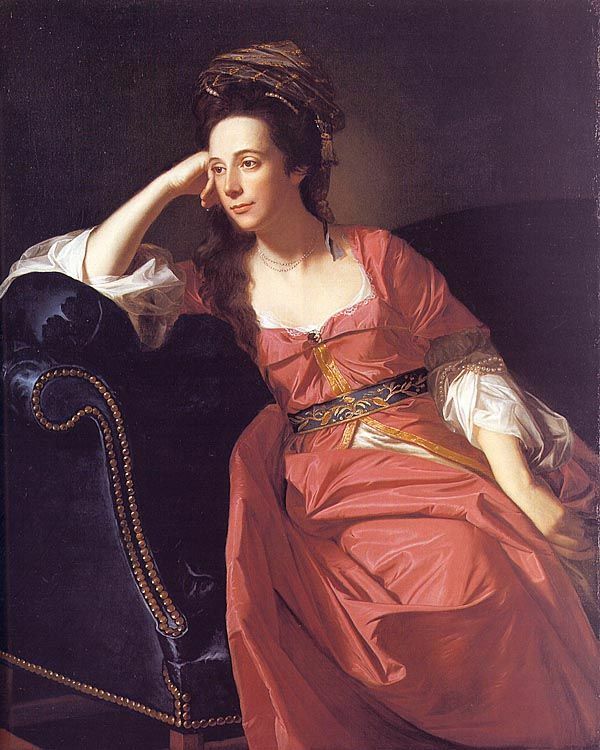 Sarah Livingston was born in October 1725, the daughter of Philip and Catharine Van Brugh Livingston and a member of that prominent Hudson Valley family. Her brother Philip was a signer of the Declaration of Independence, and her brother William was Governor of New Jersey. William Alexander was born in 1726 in New York City. His father, James Alexander, was a Jacobite who emigrated to America in 1715. William received an excellent education, and was especially proficient in mathematics and astronomy. He became a lawyer, and held various public offices. Samuel Adams was an American statesman, politician, writer, and political philosopher, and one of the Founding Fathers of the United States. Adams was instrumental in garnering the support of the colonies for rebellion against Great Britain, eventually resulting in the American Revolution, and was also one of the key architects of the principles of American republicanism that shaped American political culture. Samuel Adams is sometimes called the Father of the American Revolution, because of his early stand against the tyranny of Great Britain, and his speeches and writings that drew many American colonists into the fight for freedom. Samuel Adams was born September 27, 1722, in Boston to Mary Fifield and Samuel Adams, Sr, their tenth child. He attended Boston Latin School, and received bachelor’s and master’s degrees from Harvard University. In 1748, his father died, and Sam Adams, as he was called, inherited the family brewery and a sizable estate. Within ten years, he had spent and mismanaged most of it, to the point where creditors attempted to seize his home. By 1760, Adams was bankrupt and working as a Boston tax collector. Marion’s family was also of Huguenot ancestry. His parents were Gabriel Marion and Esther Cordes Marion, both first-generation Carolinians. He was the last born of six children, and was a puny child. When he was five or six, his family moved to a plantation in St. George, a parish on Winyah Bay. Apparently, they wanted to be near the English school in Georgetown. Marion’s family was of Huguenot ancestry; he was fluent in English and French.